My short film Umhambi is an official selection at the 46th Chicago International Film Festival. The festival runs October 7-21, and Umhambi and will be screening on October 10, 2010 at 12:00 pm at AMC River East in the Human Condition program and competition. The festival invited filmmakers to submit 60 second films that examine who and what we are. "What is the human condition?" asked the festival's programmers. "Is it describable? What causes people to start a war? Grow a flower? Abide poverty? Create Art? Advance technology? Pollute the environment? Seek knowledge? Cure illness? Is there a difference between cause and effect, symptom and disease? What is our place in the world?" 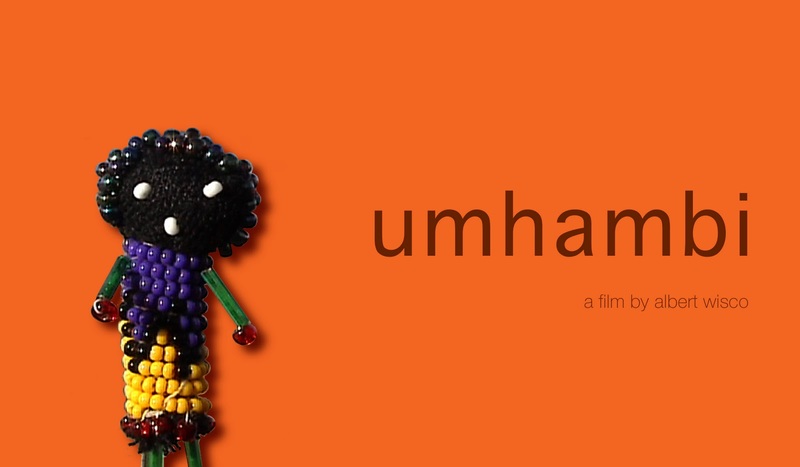 Umhambi is a one minute film I made in South Africa. It’s based on the Little Traveller dolls created for Woza Moya, the income generation program at the Hillcrest AIDS Centre Trust, a non-profit HIV/AIDS service organization outside Durban. By making and selling Little Traveller dolls, beadworkers -- all infected or affected by HIV and AIDS -- earn money for basic needs such as water, food, school fees, books and clothes. The film features Tholakele Mbombo and her family, and the voice of storyteller Gcina Mhlope. Umhambi has travelled the globe and has been screened in art galleries and film festivals in Canada, South Africa, Switzerland, Croatia and now the US .